Baseball News, Uncategorized Edmonton Padres Midget AAA Team Welcomed into the Norwest League for 2018! Edmonton Padres Midget AAA Team Welcomed into the Norwest League for 2018! 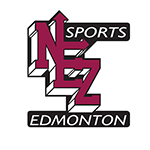 NEZ baseball and Baseball Alberta are pleased to announce today that the Edmonton Padres Midget AAA team has been approved for play in the Baseball Alberta Norwest AAA League starting in 2018. We look forward to having this opportunity for our players and their families. The Padres home baseball park will be Wally Footz Field.